Someone once said that insomnia has the potential to convert a person’s paradise into a place of torture. If you’ve ever struggled with sleep, you will understand what these words mean – the physical and mental agony of being utterly exhausted but unable to fall asleep is, indeed, torturous. But what are the causes of chronic insomnia? And how can you access insomnia treatment or help for other co-occurring conditions, which are robbing you of your forty winks? Insomnia is a condition that makes it difficult for people to fall asleep, stay asleep or both. According to the Sleep Foundation, about one in three people suffer from some form of mild insomnia. In this modern age – when people are up late on their smart phones and devices, and when the division between the workplace and home is now blurred, insomnia is becoming much more common. Insomnia can be the result of our inability to ‘switch off’. In most cases, chronic insomnia is caused by conditions or situations. It can be a symptom that relates: to ongoing health conditions such as chronic pain; emotional stress such as the sudden loss of a loved one; the use of certain drugs such as ecstasy; or unhealthy ‘party’ lifestyles that interfere with daily routines. They can also be more susceptible to illnesses relating to a compromised immune system such as the common flu. Sleep apnoea is a common condition involving the muscles and soft tissues in the throat collapsing to cause a total blockage of the airway that lasts 10 seconds or more. Sleep apnoea causes a person’s sleep to become interrupted and can often lead to chronic insomnia. The good news is that sleep apnoea treatment often just involves changes to your lifestyle – such as going on a weight loss programme or reducing the amount of alcohol you consume before bed. What many people don’t know is that medications prescribed by their doctor can lead to chronic insomnia if they are used over a long period of time. Drugs prescribed for high blood pressure (such as beta blockers) or for depression (such as Prozac) can seriously interrupt normal sleep schedules and lead to restlessness. 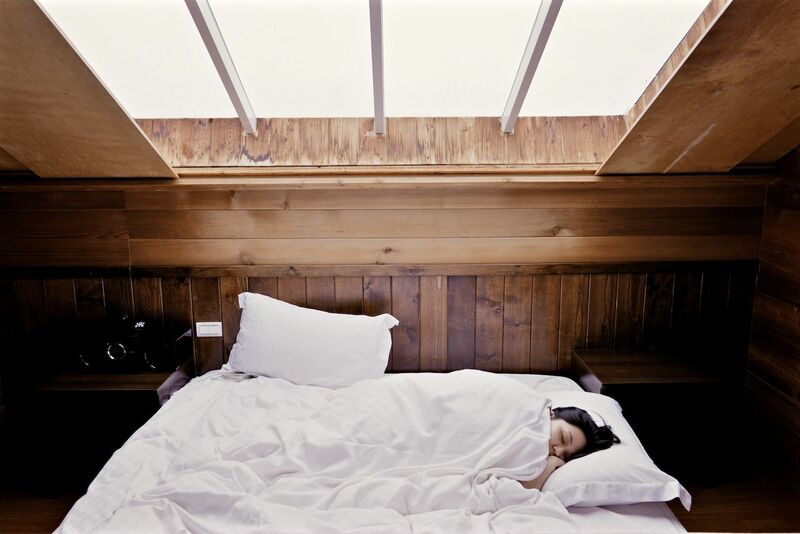 Thyroid medications can have negative impacts on sleep. Even everyday cold and flu tablets and syrups can also cause issues with falling and staying asleep. It’s not just illegal drugs such as cocaine, heroine and marijuana that can lead to chronic insomnia due to the way they interfere with a person’s sleep cycle – legal substances like caffeine and alcohol can also have dire consequences on a person’s sleep if they are overused. Many people use alcohol and marijuana to help them drift off to sleep but the problem with these drugs is that they don’t provide you with a restful, normal night’s sleep. They actually rob you of the most important part of your sleep cycle – leaving you feeling tired during the day. And if you want to stop using these drugs, you will most likely suffer from further sleep deprivation as your body tries to adjust back to normality. Some people will undergo a stressful period in their lives – whether it’s trying to finalise a big business deal, caring for a partner who has cancer, or sitting university exams. The intensity of that stress might only last a week or two, but it can be the catalyst for insomnia that lasts much longer. Chronic health issues can also lead to stress and worry that has the potential to impact your sleep. Chronic insomnia is one of the major symptoms of PTSD. Sufferers are often too scared to drift off to sleep or they are woken by intense nightmares that cause them to panic – making it impossible to fall back to sleep. Many PTSD patients are constantly in a state of high alert – called hyperarousal – which makes it hard to calm the body in preparation for bed. Trauma has a huge affect on a person’s sleep cycle and, overtime, can lead to chronic insomnia if untreated. Like many medical conditions, insomnia should not be treated in isolation but rather a holistic approach should be taken in order to review the person’s lifestyle, eating habits, daily routine, psychological conditions and family history. Depending on the type of insomnia that you are suffering, treatment can involve medication or therapy to address underlying issues. Research shows that Cognitive behavioral therapy (CBT) is often more effective than sleep medications when it comes to treating chronic insomnia. This form of therapy involves helping patients form better sleep habits and eliminate factors that are interfering with their sleep – such as drinking too much alcohol before bed, being on the internet late at night or staying in toxic relationships that are causing emotional stress. Journaling before bed is also often recommended as part of CBT, as it helps the patient offload their worries and concerns before they go to sleep rather than trying to solve problems as they lay in bed. According to a sleep specialist, 75 to 80 percent of insomnia sufferers will be cured after receiving successful treatment for chronic insomnia. The key is, getting to the bottom of the cause of your condition in order to access the right treatment plan – and then having a team to support you through a treatment programme. The Dawn Rehab in Chiang Mai is a luxury rehabilitation centre with a highly skilled and experienced team who take a holistic approach to patient care. We can assist with addictions, mental health problems and stress management. Your initial, confidential, consultation with our team will allow us to come up with a tailor-made programme to help you get the best treatment in order to return home and enjoy a restful nights sleep. Are you ready to get help? Call +66 63 048 4877 or email now for expert help.